Tonight was a night for veggies and some Cod. After 2 nights of beef and bean stew I was in a fish mood. I really enjoy the sauces I got from Healthy HeartMarket. Tonight I decided to showcase the Ginger stir fry for you! No salt, no fat, no refined sugar, no cholesterol, gluten free, and wheat free. This stuff is good for you, tastes great and is fun to cook with!! What better way to love some ginger stir fry sauce, then to do a veggie stir fry. I combined some of my favorites, green beans, summer squash, onion, garlic, baby bella mushrooms and sugar snap peas. All of the vegetables are fresh and not canned or processed. Heat skillet on medium heat and spray with butter flavor cooking spray. 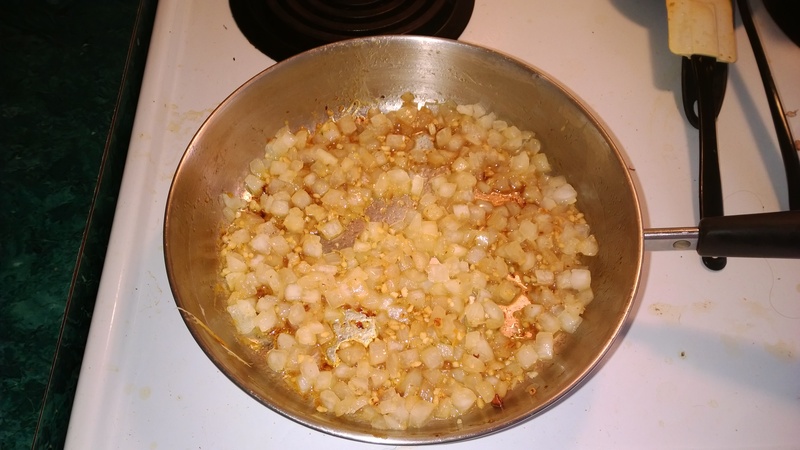 Add chopped cloves of garlic and slices of onion to skillet and cook till the onion starts to become translucent. Add the remainder of the vegetables and begin to cook for about 3 min to start softening process. Add Ginger stir fry sauce and cumin and continue to saute covered for about 5 min. Season Cod filet with Onion Herb Mrs. Dash and and place on top of vegetables and sauce in skillet. Cover the skillet and continue to cook for about 5 more min to steam the cod. When the cod is almost done cooking remove lid and let the sauce boil and reduce down for another couple minutes. Serve hot with cod on the top of the vegetables and definitely ENJOY! My hubby had a fast food hamburger for dinner tonight, so I cooked for myself. If you are cooking for more than one person, of course you can easily just double or triple the ingredients accordingly. More vegetables and more fish portions will take longer to cook, so adjust and keep an eye on your dish to get to desired temperature and consistency. Thanks to my lovely subscriber Basil Rene for reminding me that I haven’t reviewed the No Salt Pickle from Healthy Heart Market. As I previously posted, I found a No Sodium Dill Pickle available to order online. As I am an avid Pickle eater and have missed my pickles, almost more than anything else on this journey, I of course jumped all over this and ordered a jar. I was conservative and only ordered one jar, since they were $7.00 per jar, just to try them first. I ordered a whole bunch of stuff, sauces, salad dressing, spice blends, and the pickles…..the shipping was reasonable and the order came in just a few days. Very speedy service! But we are here to talk about the pickles!! I really love these pickles, they are crisp, and fresh with a great taste of dill and garlic and spices. If you are expecting a “classic” dill pickle taste, Don’t! They have a little sweetness, but not much when they hit your tongue. This is due to the sugar brine. Then this is followed with a little spicy kick that wakes up you tastes buds with a welcoming “hello”! I have used these diced in a pasta salad, and sliced on sandwiches and just plain as a snack! They have filled the pickle void in my life! I thought I was doomed to a pickle-less existence. I loved the single jar of pickles so much, that I went to order a couple more so I had backup jars. When I got to the website, I was crushed to find that they are now noted as “discontinued. no longer available”. In my dismay, I sent an e-mail to see if, by some great chance, they had any in stock still. I have not received an answer yet. So in all my joy for finding a lovely dill pickle for my lifestyle, I now am again left with a void. Needless to say the last 4 pickles in this one lonely jar will be used sparingly!! Today I did receive the newsletter from Healthy Heart Market and they now have a new no salt added Bread and Butter Pickle slices. This is no dill pickle, but I am not totally against the bread and butter style, so I think they will have to be given a fair try. I have not yet found another alternative to the sadly discontinued No Salt Dill Pickle, but believe me I am looking high and low. If there is somewhere to get some, or a reasonable way to produce them at home, I will find it and definitely let you all know! Woke up today and the weather was gloomy, overcast, thunder and rain. What a perfect day for a slow cooked beef and bean stew! This is something that you can put on in the early afternoon and check on periodically while you do other things around the house. I love a stew every once in a while, especially on days like this. After a wonderful weekend of exploring the French Quarter Festival, it was great to have a gloomy day at home relaxing. The Hubby fell in the shower last night, and we think he may have bruised a few ribs, so no heavy work for him for a few days. I always say that a good beef stew loaded with garlic and spices will cure any ailment…so hopefully this will aid in his recovery. 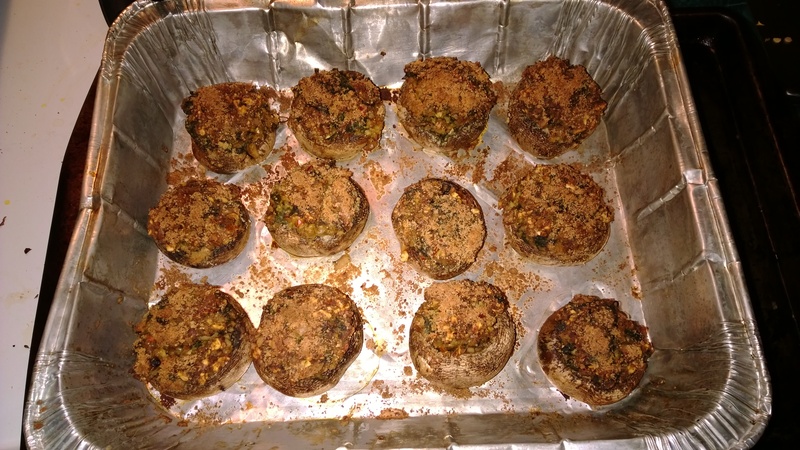 Score roast approx 1/8 inch deep on both sides, coat with the mix of dry spices. Depending on your favorite flavors coat with a mix that suits your fancy. Heat on high 2 tbsp oil in a large soup pot, sear both sides of the roast for about 5 min per side, starting with the fat side down. Remove roast and deglaze pot with red wine. Add stir fry pepper mix and garlic to red wine and reduce by half. Cut roast in to quarters and place back in the pot, add soaked beans and water to cover the meat and beans. Bring to a rapid boil. After it comes to a boil, reduce heat to low-medium and slow simmer for about 2 hours. Taste the broth at this point and season to preference with non sodium seasonings. When meat starts to become fork tender remove from pot and shred with fork. Return the meat to pot and continue to simmer for about 1-2 more hours. serve by itself or over rice. I Love pork chops with mushroom soup gravy. Unfortunately the canned mushroom soup I used to used is way out of my sodium intake limit. This great recipe makes for a nice mushroom soup for a sauce, or even to use on green bean casserole. 1 lb Chopped Fresh Mushrooms. 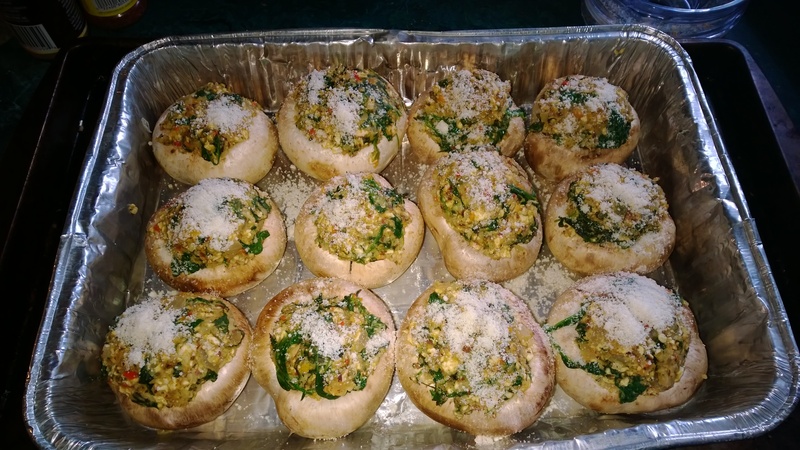 ( Can be made with some or all Portabella mushrooms to! 2 medium onions chopped (you can mix in some green onions if you like! 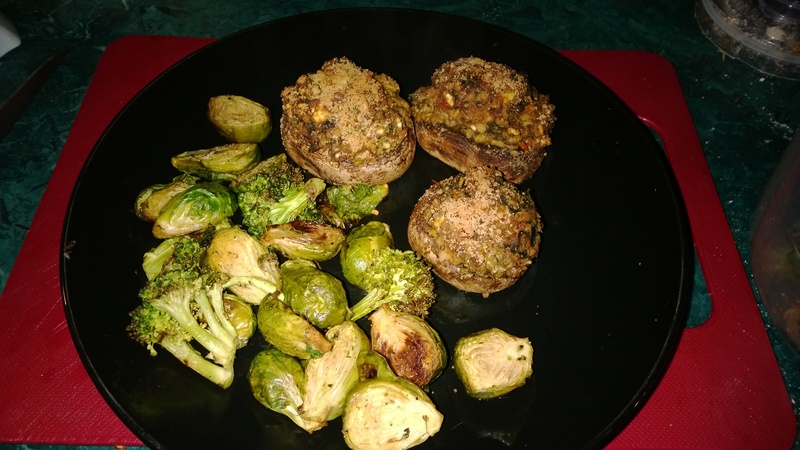 Start by combining the 3 cups of mushrooms with half of your Herb Ox chicken bullion in a medium sauce pan. Bring to a boil and let heat and simmer for at least 20 minutes. 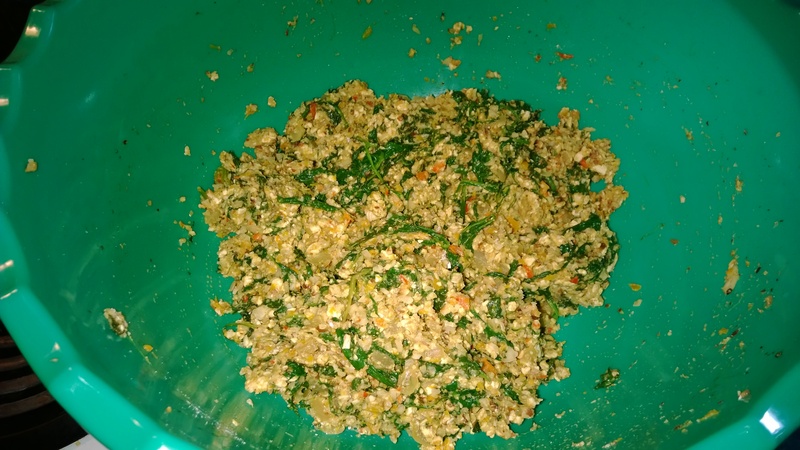 Transfer to a blender or food processor and puree then return to saucepan. In a large non-stick skillet, cook the onions, carrots and celery in the canola oil for about 5 minutes. Add the rest of the mushrooms and stir occasionally until all is thoroughly cooked. Add the mushroom puree and the rest of your Herb Ox broth. In a small bowl, whisk the milk and flour together until smooth and all lumps are gone. Stirring constantly with a whisk bring soup to a simmer but NOT a boil. Add herbs and peppers and salt substitute to taste. serve immediately and refrigerate left over’s. IDEAS’ – You may want to double this recipe while you are at it and save some of the cream of mushroom soup for other recipes. You can freeze it and use it for turkey and chicken casseroles, broccoli, etc. 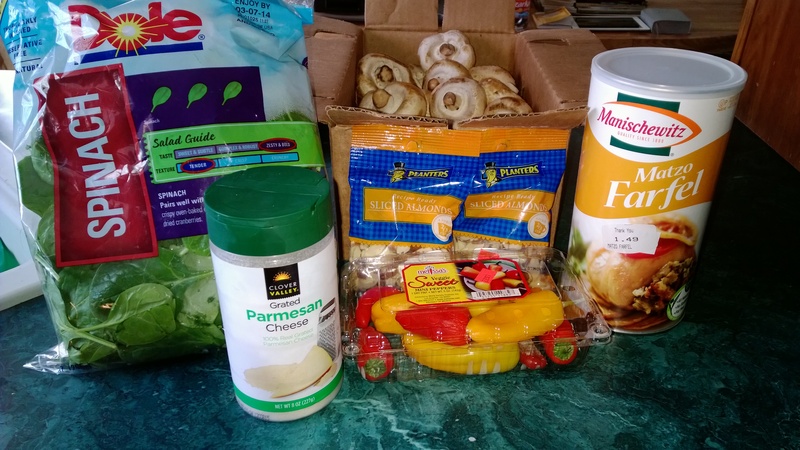 As I have told you all before, I located a great place to shop for low and no sodium products, Healthy Heart Market I ordered a few things from them and have had fun trying them out. One thing I have been craving was tacos. Back in my old lifestyle, we used to get the basic packet of McCormick taco seasoning to mix with the ground beef. A 2 tbsp serving of McCormick Taco Seasoning contains 430mg of sodium!! That is 1/4 of the recommended daily intake of sodium for a normal adult diet, in just 2 tbsp of mix. The seasoning packet contains 6 servings. This means you are adding 2580mg of sodium to one pound of ground beef. Healthy Heart Market offers a great solution in their taco/chili seasoning. This packet of mix is enough to do 2 pounds of ground beef. For our purpose at home, with just the 2 of us, we used half the packet. All you need is 1 pound of ground beef and 1 cup of water….and any other taco dressings you might want. We used chopped tomato, onion, lettuce, and swiss cheese. My hubby also pan fried corn tortilla taco shells, and dried the extra oil off them completely before serving. You will need 1 lb of ground beef and 1 cup of water. Saute ground beef until the red is gone. Add 1/2 packet to water, stir well. Add to meat, simmer 30 minutes. You’re gonna love it! If you like your tacos a bit on the spicy side, feel free to add red chili powder or chili flakes as you like. Such a lovely dinner of tacos there is no need for any additional side dish! Jsut a crunchy plate of low sodium flavorful goodness! !